I ere's an unusual story I heard on the radio. It happened in Orlando, Florida, a few years ago. Joe and Bill decided to play a few rounds of golf despite the approach of a wall of dark, threatening clouds. A light mist began falling. Joe was walking across the green to fetch his ball when the unthinkable happened: He was struck by lightning. The doctors who examined him were shocked to see that his arms and legs were broken. His muscles had contracted so violently from the electricity that his bones snapped like twigs. Harnessing the body's power reserves can enable you to perform feats of strength most martial artists are incapable of. dered, Now how could electricity cause muscles to contract hard enough to break bones? So I did some research. In "Lightning Injuries to Humans in France," Dr. Elisabeth Gourbiere (Electricite de France, Service des Etudes Medicales) listed the common effects of lightning strikes, including ventricular fibrillation and inhibition of respiration. She also noted that in rare cases, lightning strikes had caused fractures, not only of arms and legs but also of the cervical spinal column and the skull. I was shocked. That was when I realized that the Florida account could be true. 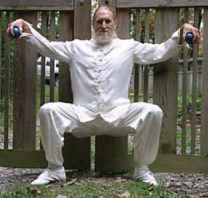 To perform the Crane's Nest exercise, Peter Ragnar places his back against a fence, then imagines that he's seated. His arms are extended, and each hand holds an iron ball. He then breathes 100 slow breaths, starting over if any extraneous thoughts arise. gear: What if you could train yourself to elicit that kind of muscular contraction without breaking your bones? What if you could harness that much power and release it on demand? The idea isn't as farfetched as it sounds. Consider the gorilla. It's been estimated to be capable of bench-pressing 4,000 pounds. Even the much smaller chimpanzee can contract its muscles powerfully enough to rip the door off a car. Imagine teaching a chimp how to execute the cross-body armbar and the rear choke, giving him a few boxing lessons, and turning him loose against any of the current mixed-martial arts champions. I can see the headline now: "Chimp vs. Champ." I'd be sure to bring a body bag—and some bananas for the ape. Now, I don't need any letters from animal-rights activists; I'm an animal lover. But let's face it: Animals love to play. Human beings do, too, which is why so many of us grew up wrestling with each other. It's what motivates some of us to enter full-contact sports. However, we rarely witness human beings releasing superhuman animal magnetism on demand. But what if you could learn how to be seven to 10 times stronger than your opponent? Would you settle for simply twice as strong? For a moment, think of your best dead lift. Keep that poundage in mind as you read further. The Associated Press carried a news story about a 56-year-old heart patient who saw a large cast-iron pipe dislodge and roll onto a 9-year-old who was playing in a construction lot. The man scurried down the bank and, not thinking about the weight of the pipe, lifted it off the child. Later, it was discovered to weigh 1,800 pounds. How did the seemingly impossible feat take place? The man's conscious thoughts were overwhelmed by an all-consuming intention. The intention dominated his conscious mind so much that any thoughts of doubt or failure were simply drummed out and not heard. Grip strength is a good way to measure a martial artist's ability to use intention to empower the muscles. 3ls in the country 0 . "A must for today's modern day fighter. 'One of the top series ever produced." "Voted among the best videos"
"Out of all the instructional videos I've ever watched, Lala's ranks as one of the best." "It's like opening up a treasure chest. Has the highest content on the market." 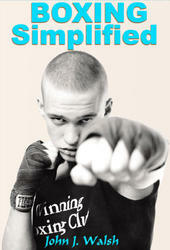 "Training a few weeks with Marco helped me beat a 5x Sanshou Champ." Chaz Menendez. "I, John Saylor and Gene LaBell have seen many of these tapes and feel they are some of the finest material at any price"
"I finally achieved the chair split." Own my highly endorsed training & fignting videos for just "pennies" a move, and now with an optional payment plan! 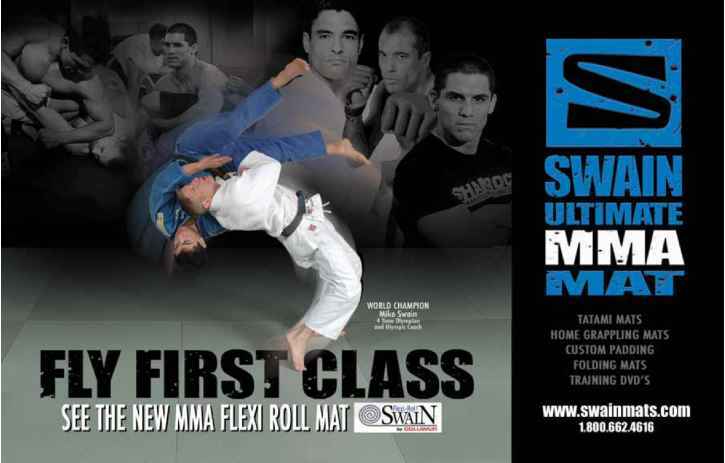 Marco Lala has trained with the highest ranking Japanese instructors in Contact Karate, Judo, Jiu Jitsu & wrestling. He was a former Kyokushin instructor, Bare-Knuckle champ, Judo competitor, and founder of Tettsu Bushi Jitsu. He's featured in over 30 U.S. & Japanese videos & many magazine articles. Advanced training & technique integration. Survival & Escape Techniques from bottom positions. Most comprehensive series of escapes EVER. Covers all the counters from Top Control 1 & 2 in exact detail. Made for instructors- a must for students! □dvd aviDEgi 30 Day "No Risk" Money Back Guarantee! | *Payment Plan is for credit card orders & requires a 2 tape minimum. You pay just half now plus shipping | to get the tapes! You'll be billed for the balance over 3 months. No interest - No add'l charges - Don't wait! An alternative method of performing the Crane's Nest exercise involves squatting in a posture that would enable you to hug a tree while holding two shot puts as counterweights. One hundred slow breaths are then counted. Animals can produce "superhuman" strength from their bodies because they don't have self-image problems and don't know the meaning of the word "ego." Their drive to survive, coupled with their unbridled intention, can make them unstoppable. In Frank DuFresne's 1965 book No Room for Bears, he cites an incident that happened on Admiralty Island, Alaska. A forest ranger shot a man-killing grizzly with a high-powered rifle. The event was witnessed by a young backpacker, who described it this way: "The bear was bouncing about insanely with movements so fast it was all a blur. ... When the beast backed away for a second, he saw the ranger's face down on the ground, trying to push himself up with his arms. One horrified glimpse of clothing ripped to rags, of bloody, gaping wounds. Then the bear rushed in again, roaring and mauling and shaking the man until he was limp." The only thing that slows a human being's reaction time is insufficient intention or self-doubt. You're wired with all the bells and whistles of survival, just like the animals. You hold the key to the mechanism that can release the chemicals of superhuman strength into your ordinary body—on demand. But you can't do that if you can't control your mind and its 10,000 conflicting thoughts. That's why I started practicing an exercise called the Crane's Nest, which is similar to doing a "wall chair." Begin with your back against a wall. Imagine that you're seated on a stool with your thighs parallel to the floor. Hold your arms out to your sides. In each hand is an iron ball the size of a shot put. Begin breathing slowly and deeply. Count 100 breaths. If any thought other than the number comes up, you must go back to one and start over. Alternatively, you can squat with your arms extended as though you're hugging a tree. To keep your back straight, you'll need to hold a counterweight; you can use two shot puts or a pair of light dumbbells. Hold them as you count 100 breaths and return to one if any stray thought arises. The second intention-building exercise is called the Iron Bar. Rest the back of your head on one chair and your heels on another, becoming a human suspension bridge. Visualize a current of electromagnetism flowing like water, entering the soft spot on top of your head. Direct the current down your spine and out the center of the soles of your feet—through what practitioners of acupuncture and chi kung call the kidney point. In traditional Chinese medicine, the kidneys also include the adrenal glands and testes. To unleash superhuman strength from an ordinary body, a controlled release of adrenaline, coupled with targeted intention, must take place. This type of training develops the ability to regulate your strength chemicals on demand. Your body's bone marrow releases oxygen-rich red blood cells that are vital to muscular contraction. However, when your strength is at a low ebb, your muscles will be deprived of oxygen, and acids will build up. At this point, the kidneys provide a hormone called erythropoietin, which stimulates the bone marrow to create more red blood cells. The Iron Bar exercise turns your internal energy into a steel rod that's capable of generating incredible strength. So, by stimulating the kidney points with this flow of elec-tromagnetism, you'll strengthen all the bones and muscles of your body. These exercises are not unlike using a power rack at the gym. Let's say you're working on a sticking point in the bench press. You set the rack so that even at full extension, you cannot lock your elbows. That develops incredible strength because of the static hold. The exercises described in this article use static holding, intense muscular contraction and deep relaxation at the same time. You mentally lead the generated current through the energy pathways of your body. That gives you the ability to place your intention into your muscular contraction. Here's an example of what I'm talking about. I practice an exercise in which I pass a pair of 45-pound barbell plates from hand to hand. I focus on placing my intention into the contraction. Ask the strongest man you know to give it a try—and tell him to watch his toes. It's possible only if you visualize the steel as clay and see your fingers sinking into the metal. What you gain from this exercise, other than the obvious physical benefits, is the conscious generation of nerve force. Even well-trained athletes are seldom able to activate more than 30 percent of their muscle fibers. What if you could increase that to 40 percent, 50 percent or more? Would that interest you? The key to generating extraordinary amounts of power lies in effecting a controlled release of adrenaline and coupling it with targeted intention, Peter Ragnar says. oxygenated body will sustain a faster transfer. Just as with the stem cells that create every type of cell your body requires, including nerve and muscle cells, it all depends on the health of your bone marrow. The bone marrow is your body's bioelectric battery. Keep it charged up, just like any battery. You can't afford to get dehydrated, so you should drink at least eight glasses of distilled water a day, especially in hot weather and when your workouts are long. I also recommend the use of plate magnets in your training. As I write this, I have them under my feet. I've also slept on a magnetic mattress pad for more than 20 years. Why? Well, let's take a peek at some scientific research that's influenc ing the training of marathon runners, mountain climbers and weightlifters. Linus Pauling, the chemist renowned for his research on the benefits of vitamin C, received a Nobel Prize in 1954 for 24 years of work on the magnetic properties of hemoglobin. He found that magnetic fields greatly increase the ability of un-oxygenated hemoglobin to capture oxygen. What does that mean for athletes? Consider how acids are generated during exercise and stressful competition. Pauling discovered that while blood pH operates in a narrow range, the ability of red blood cells to carry oxygen is greatly diminished by acidity. Since it's already known how magnetic fields alter the structure of water—for instance, shower magnets soften water and increase soap's ability to lather—we know also that magnetism will increase the amount of oxygen carried by hemoglobin molecules. In other words, you'll have a faster, more intense muscular contraction, resulting in increased strength. Dr. Benjamin Lau of Loma Linda University in California discovered up to a 400-percent increase in blood flow resulted from using pulsed magnetic therapy. In one documented study, Lau administered three weeks of treatment to 19 patients who suffered from stiff, arthritic joints. Sixteen of them had their stiffness disappear. Wouldn't that be great for those of us getting banged up in the dojo? 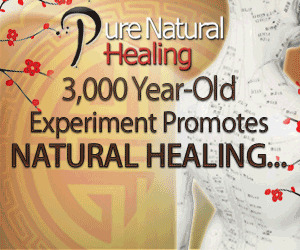 Lau also discovered that magnetism increases the oxygen pressure of the skin. 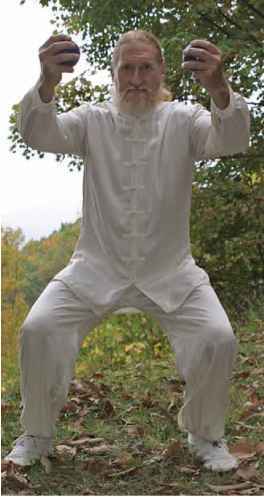 According to traditional Chinese medicine and those who practice Iron Shirt or Golden Bell kung fu, the chi is transported through the body in part by blood oxygen. When the oxygen pressure is boosted in the three main layers of the fasciae, you can be thrown, punched and kicked without harm. The fasciae are thin connective tissues that protect your organs and bones, and they can expand once you increase their oxygen potential. That, in turn, can facilitate the release of superhuman strength from an ordinary body. Another way of increasing the oxygenation of your body and building nerve force is cold-water bathing. Again, it's the nerve force that transfers bioelectric charges from your marrow to your muscles. However, potassium must be in abundant supply for that to happen. The strongest men in the world have the highest concentration of potassium in their muscles, which is a great reason to eat lots of dulse, kelp, sea lettuce, black olives and apple-cider vinegar. 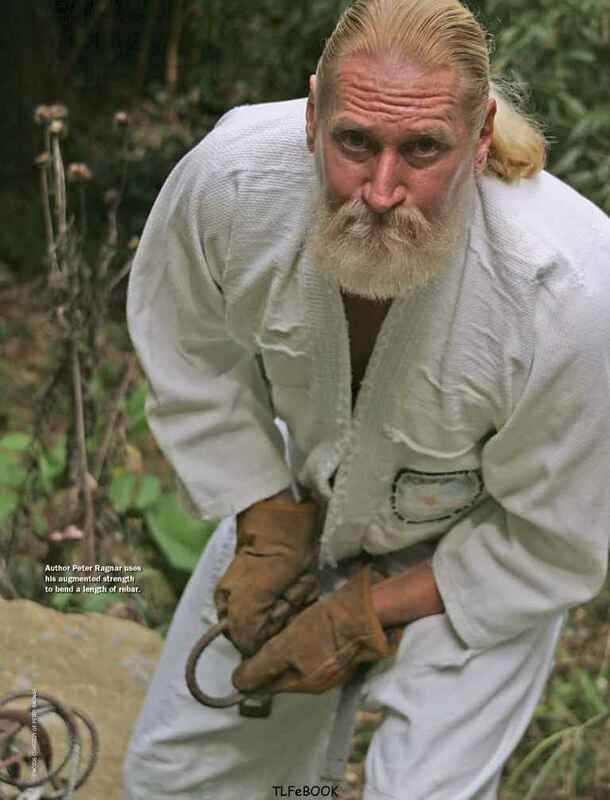 About the author: Peter Ragnar is a Tennessee-based master of the martial arts and internal energy. For more information, visit http://www.blackbeltmag. com and click on Community, then Black Belt Authors.